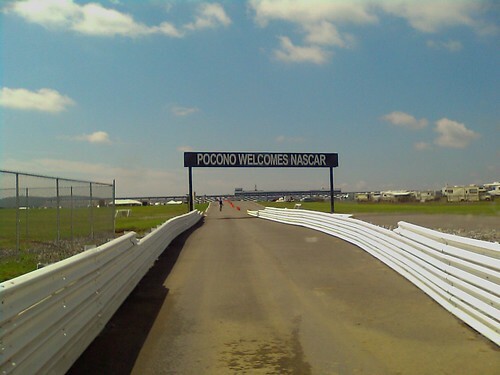 Last weekend, we attended the NASCAR race at Pocono Raceway, a.k.a. the Pennsylvania 500. 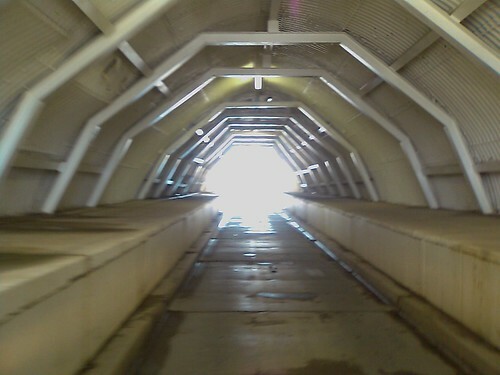 The next two pics are of us in the tunnel (under the track) and coming out of the tunnel inside the raceway. 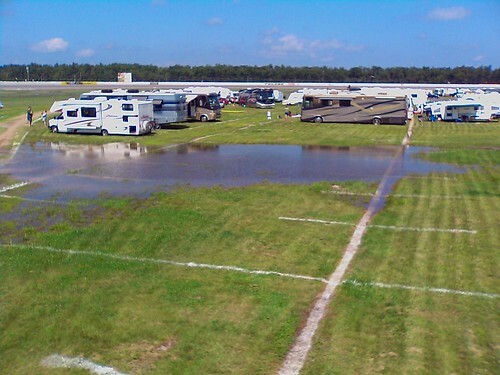 It had been raining all week and the infield had more than one unplanned pond. 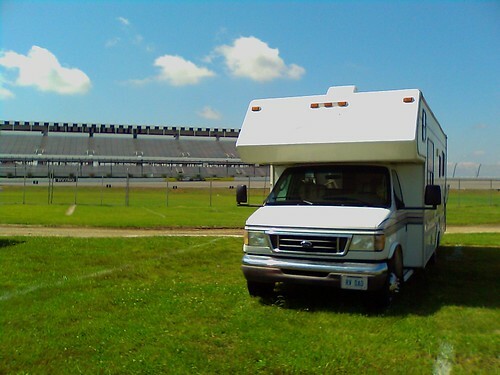 We parked in the 2nd row of RVs in turn 3 (the money turn).